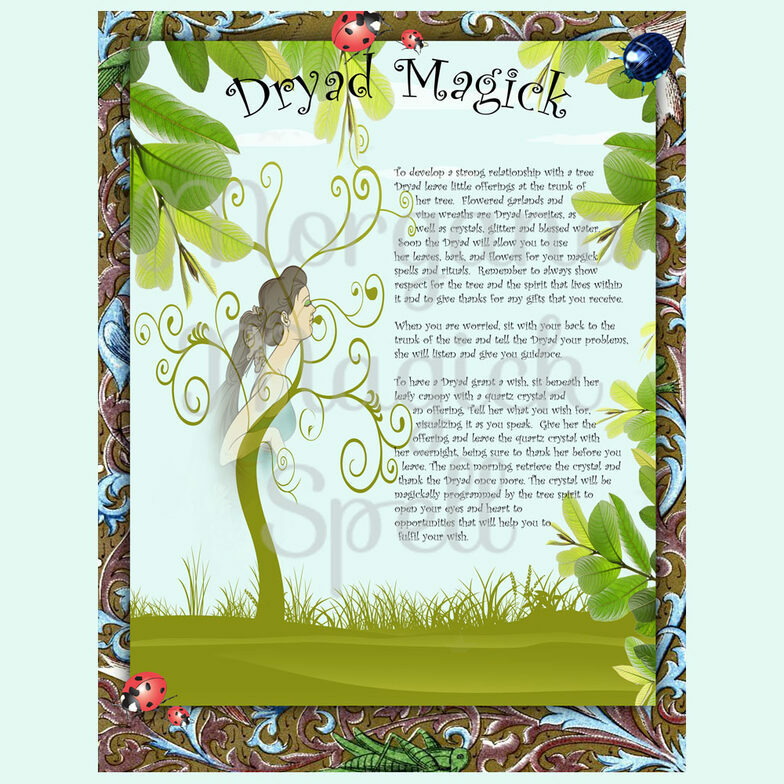 Dryads can help heal and soothe pain. To begin this process, lie flat upon the ground beneath your chosen tree or with your back and head against her body. Relax and listen to the rustle of her leaves. If you are lying flat on the ground, feel the Dryad's arms holding you, like a babe, gently rocking you. If you are with your back and head to her body, feel her reaching around, holding you. Feel her rock and sway you. As you feel this, imaging yourself as a small tree with many, many leaves. Some are dark green and healthy and a few are yellow. With each sway and breeze, see the yellow diseased leaves falling off of you. With each sway, with each breeze, another yellow leaf falls. When there are no yellow leaves left, look closer at your small tree self. Look to the small branches and see the light green of new healthy leaves starting. Feel yourself being swayed and rocked again. It slows down and eventually stops. 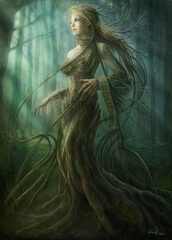 Thank the Dryad for her nurturing and healing.